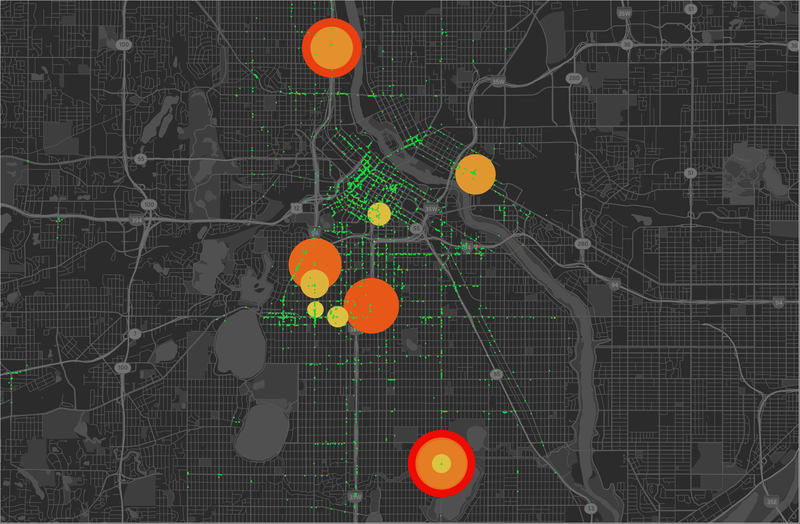 Minneapolis based data visualization, analytics, and software engineering. 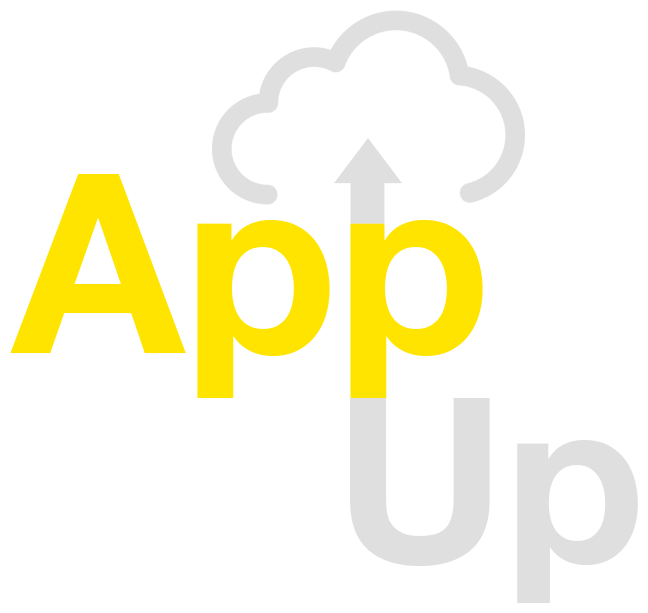 Specializing in R, the standard in open source statistics, AppUp can find patterns, relationships, and better help you segment your data. 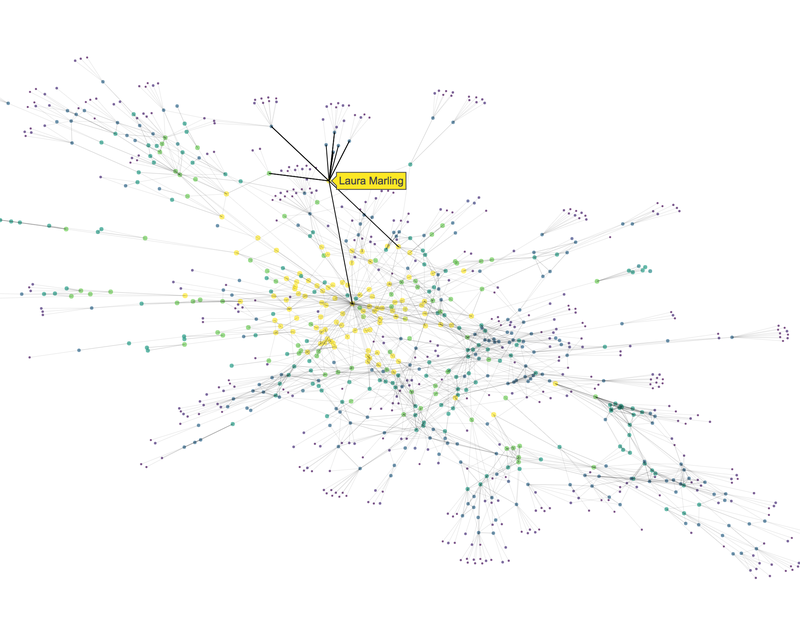 Visualizing the data helps communicate relationships, importance, patterns, and more. Analysis allows for creating forcasts and predictions as well as determine what factors have importance and what should be visualized. Interactive modeling allows for calculating permutations from factor values to find the key groupings. Throught the years our toolbox has grown and now includes technology such as PHP, NodeJS, Bootstrap, Websockets, and others. Each technology allows for a different approach to a problem, and I have even used R (stats language) to generate a static CSS ruleset for a webapp. Web based applications have been the current trend, and leveraging realtime communication through web sockets makes you feel like you were using a desktop application. In order for me to create this visualization I had to merge existing technology. The data was collected by scraping the New York Times election results page and the 2D plot election results plot was rendered in ggplot. 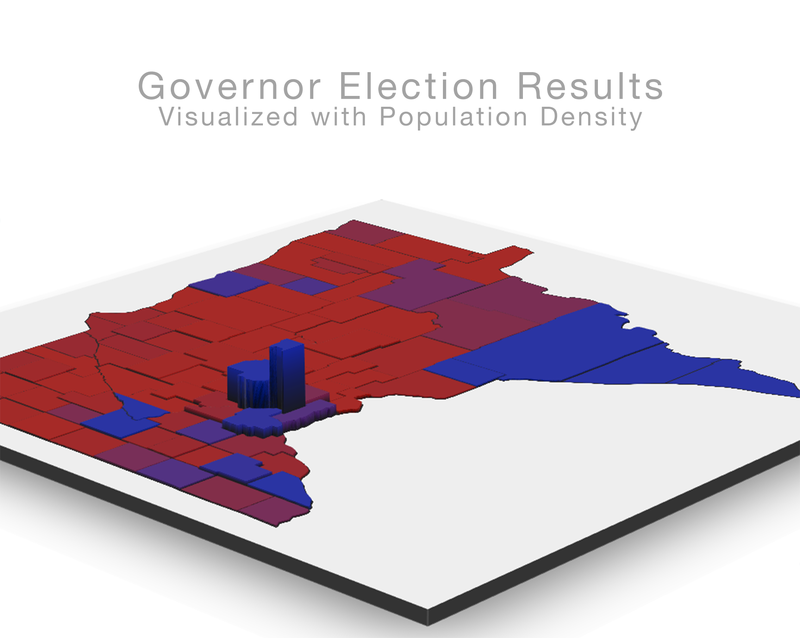 The county densities used for elevation were scraped from Wikipedia, the 2d elevation plot was also made in ggplot. For the interactive 3D portion, Rayshader which leverages rgl, was used. Created a map of destinations by start station. Points sized by destination frequency from the selected station station. Popup includes number of rides and the option to change selected start station. 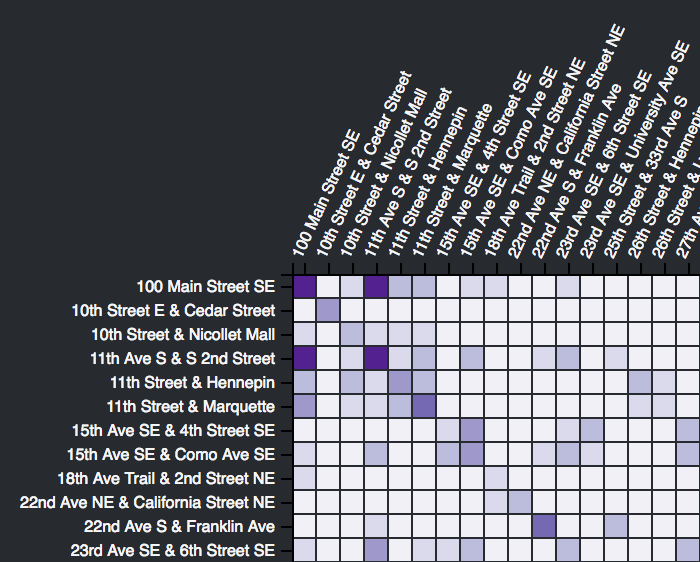 Heatmap was created in D3, while the single image exports were created in Tableau. The stations were clustered in R.
Data visualization shows the population change in percent from 2010-2016. Color bins were manaully selected and the shape files were provided by the MN DNR. There was a lot of data to link in this analysis. 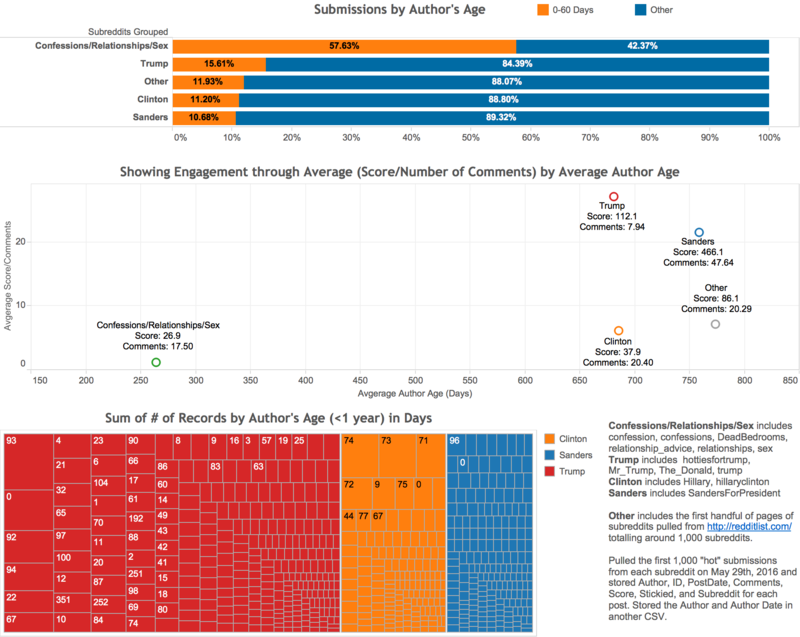 I started by grouping similar subreddits and used Tableau for my intitial exploratory analysis. For the author's age I wanted to show the author's age at the time of submission, so I made a calculated field that returned the difference in the date of the author and the date of the submission. Created this from the 2011-2013 ODOT data because someone was complaining about cyclists not paying the gas tax where they lived (Portland). Taking into account the damage (1/9,600 the damage of a car, and roads cost a pretty penny to repair) and that many cyclists have cars if not at least a license, (89%) it became clear that cyclists have been subsidizing motorists in Portland. 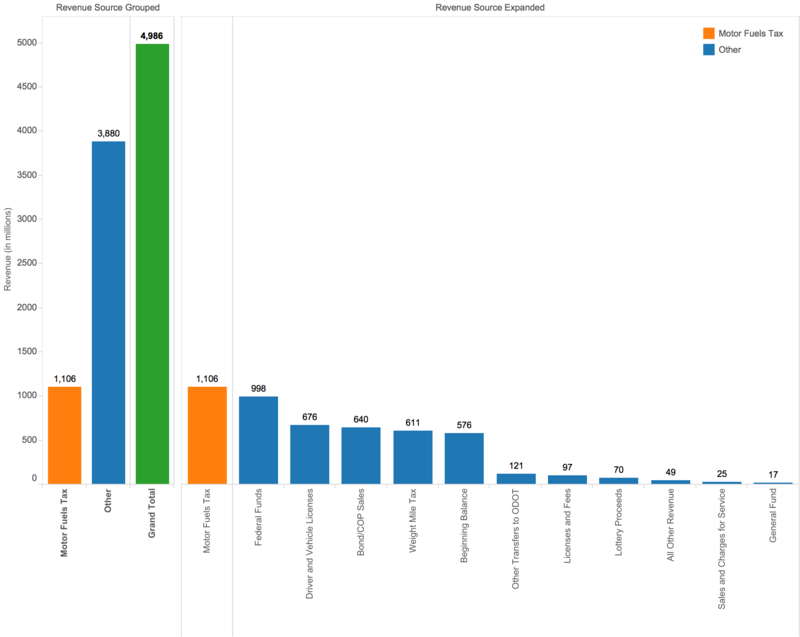 Comparing polical subreddits needed context, which is why the grouping of all other subreddits and subreddits that commonly have throwaway accounts were needed. Data comes from the 2012 Minneapolis ALPR data inside the date range August 30th to November 29th. For readability's sake any coordinates with fewer than 5 pings were removed. Circumfrences increase starting at 51 pings, red is 100 pings, and overlaps are from coordinates very close to each other. The overlap is prevelant in the bottom right with the values 100+80+76+54+9 = 319. 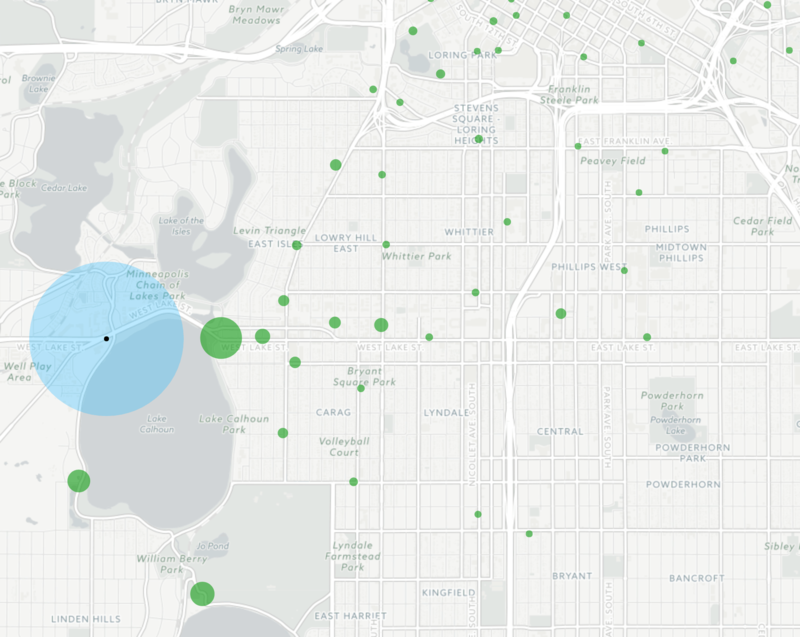 I plan on doing a traditional heatmap as well using Google Maps to interactively explore if there is enough interest. 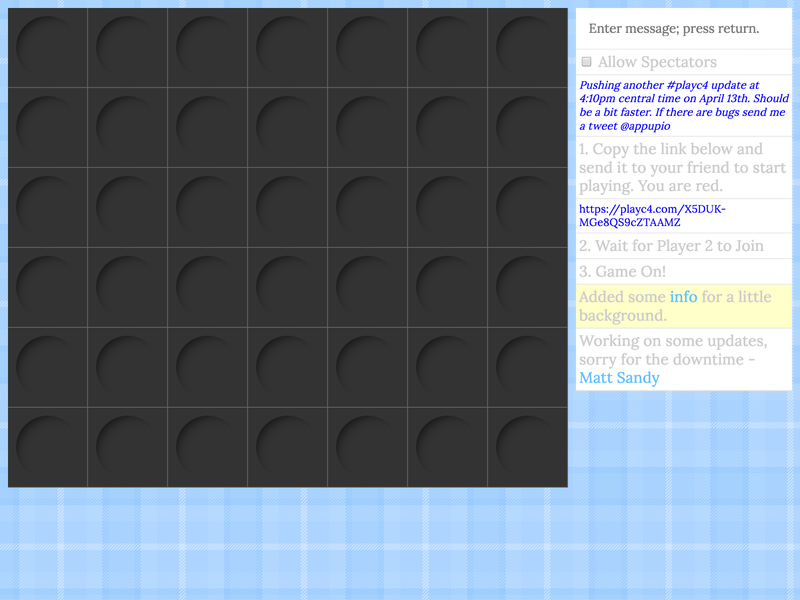 Built a realtime web-based multiplayer version of connect four with chat. 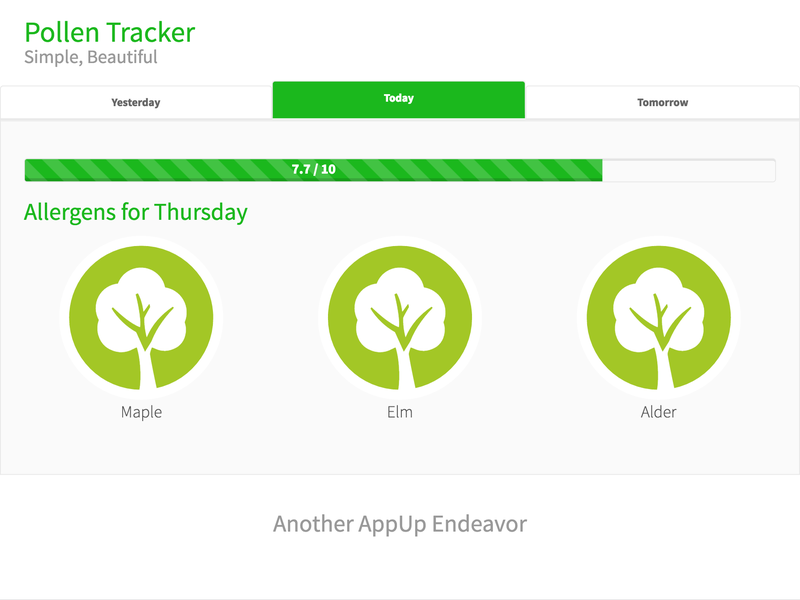 Users are automatically sent to a new game minimizing unncessessary user interactions. 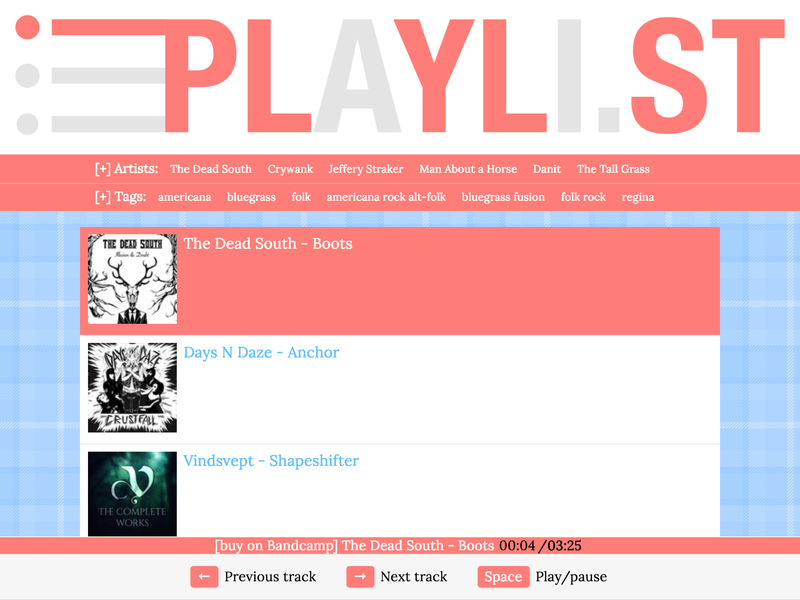 Playlist builder which creates a filterable track listing from BandCamp albums. Users can drag and drop tracks as well as filter by sub-genres and specific artists. Minimal web application written in a night for my girlfriend. She mentioned there weren't any simple, aesthetically pleasing pollen tracking applications out there. 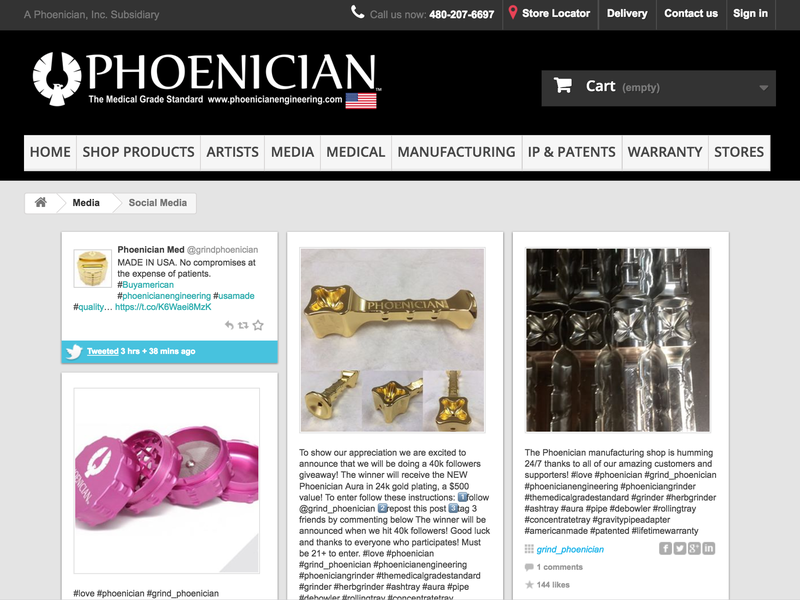 Web development for Phoenician Engineering and custum reporting tools that hook into their cart. 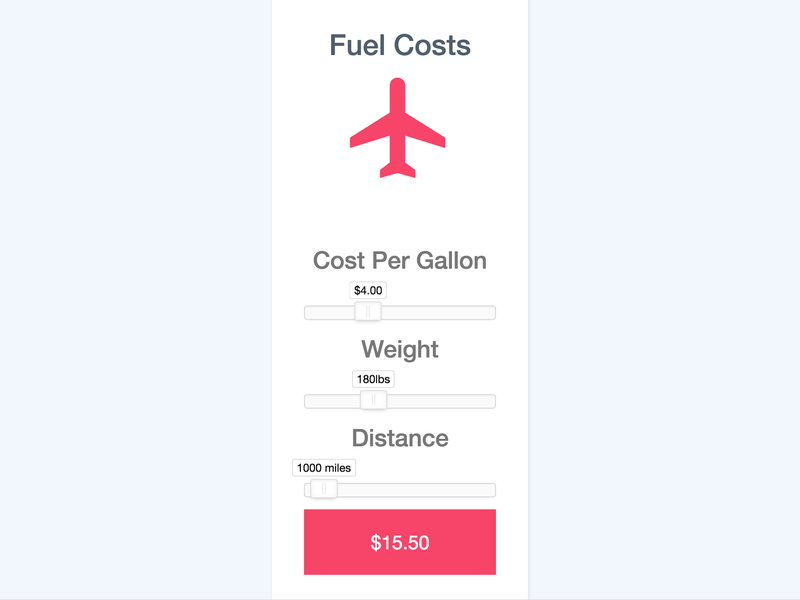 Written mostly out of curiousity of how much it actually costs in fuel for me to fly. 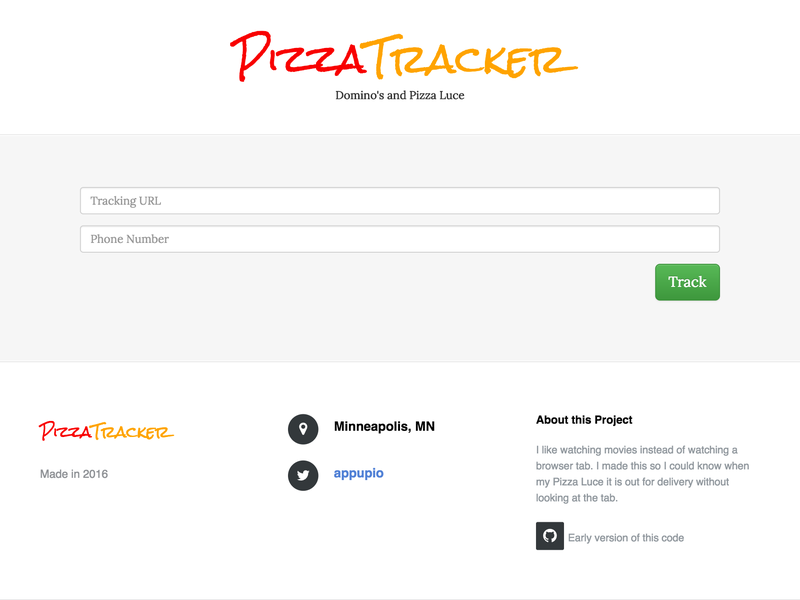 Created a pizza tracker that delivers SMS notifications on a pizza's status. Works with Pizza Luce and Domino's (Domino's blocked the IP though).